Around 1912, a 25,000-bushel wooden grain elevator was established at Dauphin, on the CNR Gladstone Subdivision, by the Lake of the Woods Milling Company. 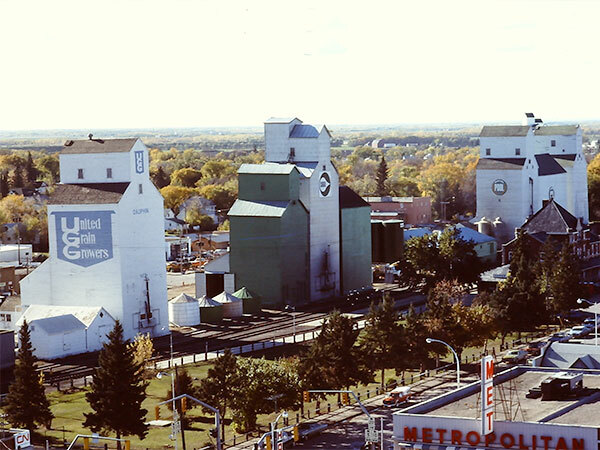 It was sold to Manitoba Pool in 1959, becoming its Pool D, and then re-sold in 1962 to United Grain Growers, becoming UGG 2. The facility was operated by its own agent until 1975 when the UGG 1 and UGG 2 elevators were reorganized under a single agent. Both have since been removed from the site. Dauphin Valley Spans the Years by Dauphin Historical Society, 1970, pages 214-215. We thank Randy Zihrul for providing additional information used here.